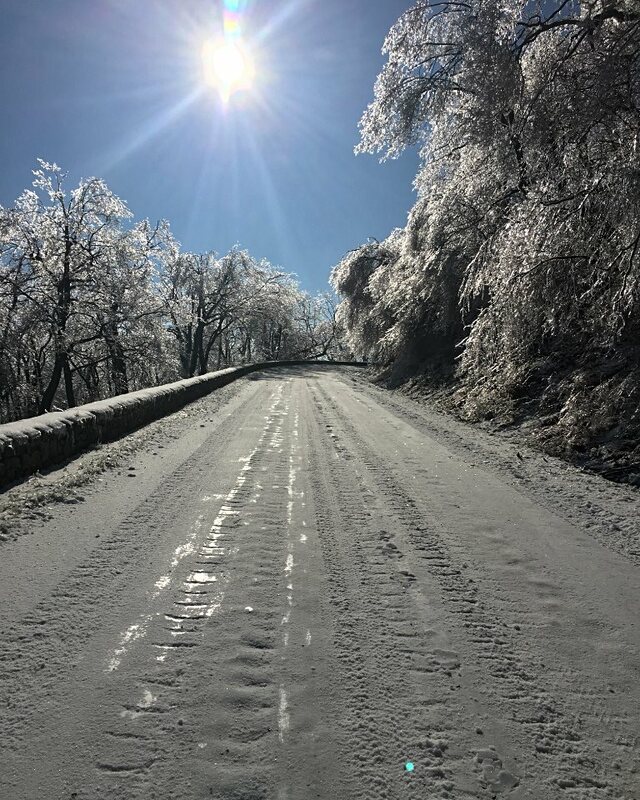 An update Friday morning, December 7, 2018, from the National Park Service details the continued work clearing Skyline Drive’s southern portion after a devastating ice storm three weeks ago. Those of us who live at this end of the Drive will be happy when it reopens because the winter landscape has definitely taken over vistas in the Park. My camera and I are anxious to get up there. The Skyline Drive is now OPEN from Front Royal to Swift Run Entrance Station (Elkton). 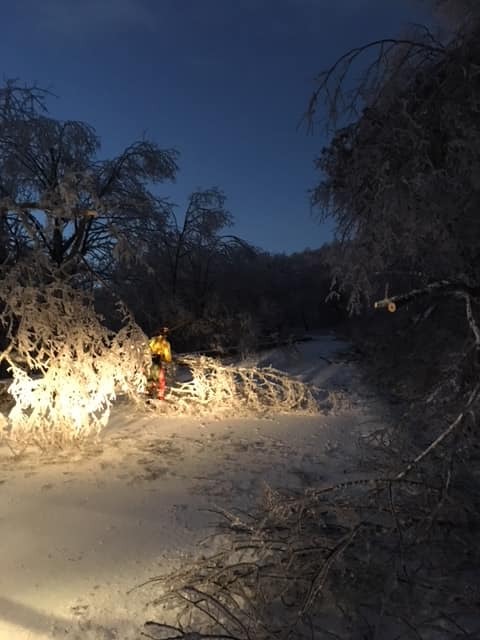 Park crews are continuing to clear hazard trees and debris caused by the ice storm that hit 3 weeks ago in the south district of the Park. 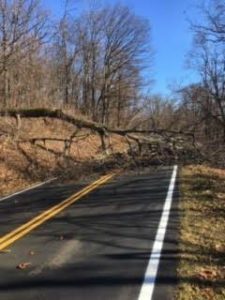 The Skyline Drive is still CLOSED from Swift Run to Rockfish Gap, but crews have made steady progress towards clearing the estimated 100 down trees per mile. 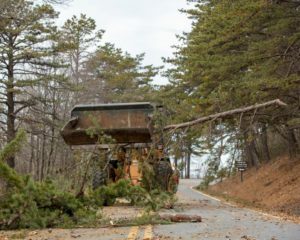 Once the road is completely cleared of trees, crews will assess any overhanging limbs and chip trees that have been dragged to the shoulder. 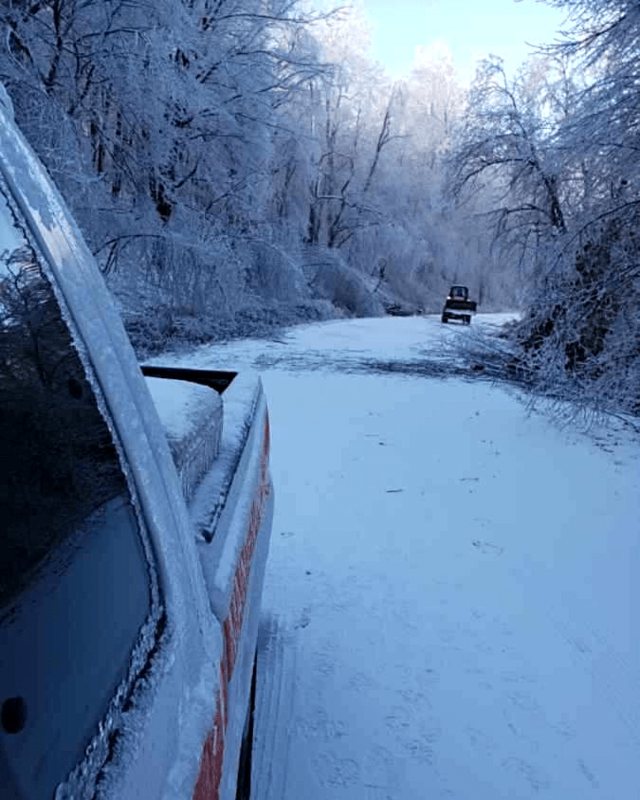 We appreciate your patience as we work as quickly and safely as possible to open up the Drive for public use. As always, the safety of the public, and of our staff, is our number one priority. Please call 540-999-3500 (select option 1, then option 1) for the most up-to-date closure information. 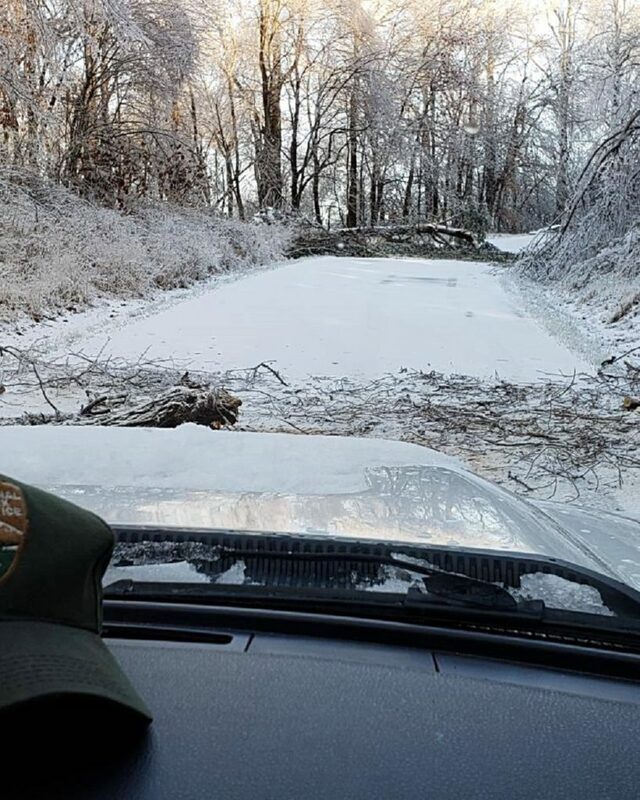 With that many trees down, there should be a firewood supply for years for campers in Shenandoah National Park. Many thanks to those working in the cold and hazardous conditions to again make the Park accessible.